First Line: There are certain things the mind cannot comprehend. 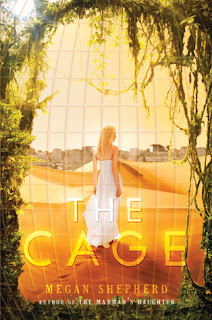 Review: DNF at page 100. 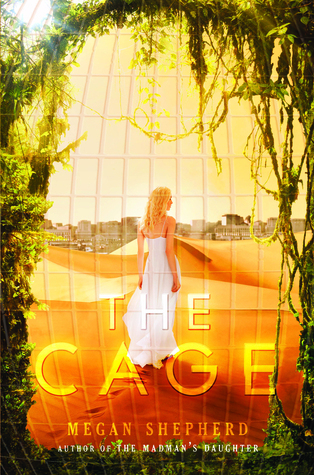 I really tried to read The Cage, but it literally started becoming a chore to read. I read a hundred pages and I was hoping that it would get better, but I have found myself completely irritated. I don't like the main character but had hopes maybe another character would grow on me since there are multiple points of views, but I'm not a fan of any of them, I'm having a very hard time connecting with anyone. Some of the things that annoyed me about Cora was how she kept thinking she would be rescued because she was some rich politician's daughter and that eventually the entire country will be looking for her etc. and then when she finds out she has been kidnapped by some creepy alien (whom you can tell in some disturbing way she is attracted to and I spot a love triangle coming) and is no longer on earth she still thinks she is going to escape...unless she or any of the other kids who have been abducted know how to fly a spaceship and figure out where in the universe they are I highly doubt that is going to happen. I felt some of the conversations amongst the characters were a little unrealistic for the scenario they were in. One example would be early on in the book Nok, the other girl, has the time to talk to Cora about Lucky being cute and what kind of guys she likes. So let me get this straight you have been abducted you're terrified, but you have the time to talk about boys. Another issue I had were the point of views if it wasn't for the fact that each new chapter was labeled with who's point of view we were about to get I wouldn't have a clue who it was, the characters all sounded the same.